The popular shopping portal eBay, is available in Mexico both in English and Spanish languages in 2019. With global shipping, or local from Mexican sellers. 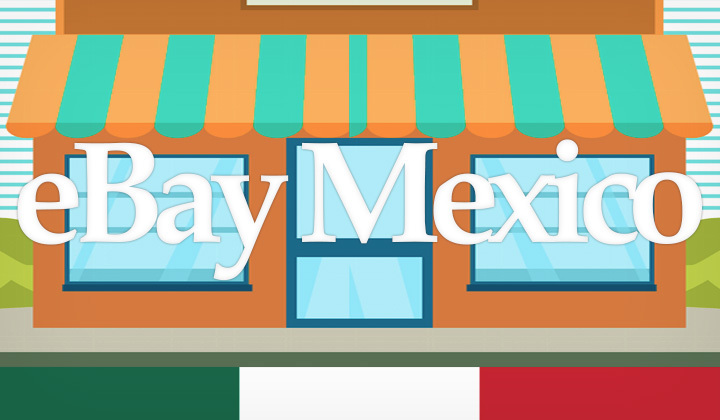 Contrary to common confusion, eBay is dedicated to serving Mexican consumers. It serves as a modern, consumer friendly option in the country. For those accustomed to eBay level of service. It’s popular for it’s global reach with shipping to Mexico from sellers from all over the world. Unlike many other localized eBay stores, their “Mexico website” is not hosted on it’s own .com.mx TLD. While the domain works, the URL eBay.com.mx is nothing more than a forwarding domain to the global US based eBay.com site. Instead, to go to eBay Mexico — “open this link” with a Mexican IP address. This means, that when eBay detects your country location as Mexico, it will automatically show the localized version of the website. This gives you a handful of useful localized features. The eBay interface will open up in native Spanish, or change back to English with the language selection button at the top right corner of the header. Product names are automatically translated to Spanish, also a link is provided next to each name to quickly see the original name in English. If you are not located in Mexico, this site version is not available to you. But there are a couple of alternatives. Use a VPN service to change your country location. Register an account with eBay and set shipping address to Mexico — in this way you’ll enjoy all the above features at eBay.com except Spanish language. If you still want to change to Spanish, but are located in a country outside of Mexico. I recommend the Chrome Browser which can translate eBay website automatically to Mexican Spanish or other languages. Hope this helps and all questions, queries below welcome. What’s your experience with eBay Mexico & shipping? Let us know. As a side note I’d like to mention that these posts may contain affiliate links which supports me financially and helps the blog to keep on working. This will never cost anything extra to you and you can opt-out of support if you wish. Anyway, thanks so much for visiting my website! Warmest regards, David.